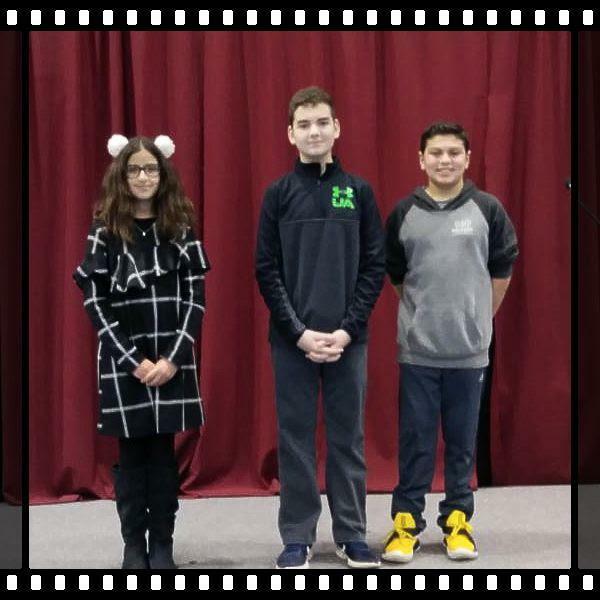 After competing in classroom spelling bees, the top three students in grades 3-8 competed in a school spelling bee on Monday, February 4. Congratulations to Michael (third place), Lina (second place), and Andrej (first place). Andrej will be going on to compete in the Lake/Porter County District Bee on February 21st at 6:30 pm at Wheeler High School auditorium in Valparaiso. Good Luck Andrej!